Welcome home to 7425 Mokuhano, a custom designed masterpiece by well known Hawaii architect - Fritz Johnson! This immaculate 4 Bedroom/3.5 Bathroom home offers you the opportunity to live comfortably on one side of home and have a separate (attached) 1 bedroom/1 bathroom with a kitchenette on the other. This tropical oasis features: newer interior/exterior paint, 34 photovoltaic panels (owned), solar water heater, heated pool, updated kitchen/appliances/bathrooms, ceramic tile floors, plantation shutters, quartz countertops, new vinyl fencing, and much more! Conveniently located and just a few minutes away from restaurants, shopping, and beaches! Price reduced $50,000!!!! 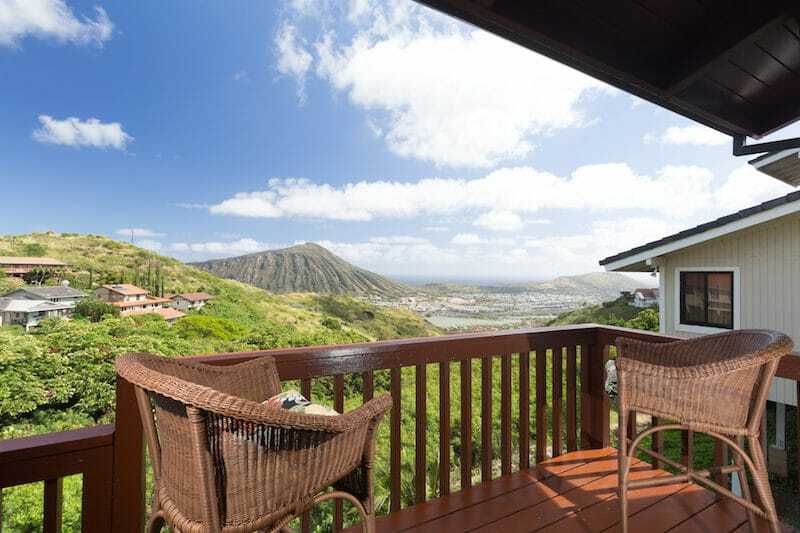 Welcome home to this beautiful home in Le'olani, an upscale Hawaii Kai community which was built in 2004. Spacious 5 bedroom, 3 bath home with 1 bedroom/full bath on first floor, high ceilings, central/split a/c, and a security system is move in ready! Owner occupied. Sold as is.